LI-6800 Portable Photosynthesis System. A New Experience with Improved Performance. The only instrument in the world that uses Rapid Sensing™ Technology for fast A-Ci curves and survey measurements. When you change the leaf chamber environment—light, temperature, CO2, or H2O—the instrument adjusts to the new setpoint right away thanks to Rapid Sensing™ Technology. The fast adjustment saves time and enables you to measure a plant’s response to rapidly changing conditions. Providing full control over water vapor, the LI-6800 can maintain humidity at any level below condensing conditions in the leaf chamber and gas analyzers. Capable of achieving 10°C below and above ambient temperature, the LI-6800 provides fast and precise temperature control. It can control temperature at a setpoint, track the ambient temperature, or ramp the temperature up or down according to your experimental requirements. The precise control of CO2 allows for faster measurements, so you can perform rapid A-Ci response curves with the Rapid A-Ci Response (RACiR™) Method (Pat. Pend.). A gas input port enables you to subject the leaf to custom gas blends. A unique, durable fine-wire thermocouple maintains direct contact with the leaf—to get the actual leaf temperature with every measurement. To fill the chamber area—and easily calculate leaf area—swap in one of several interchangeable inserts for different leaf area apertures on the Clear-top chamber and on the Multiphase Flash fluorometer. Request a demo to see the LI-6800 in action. The LI-6800 is quickly becoming the new standard for photosynthesis measurements around the world. 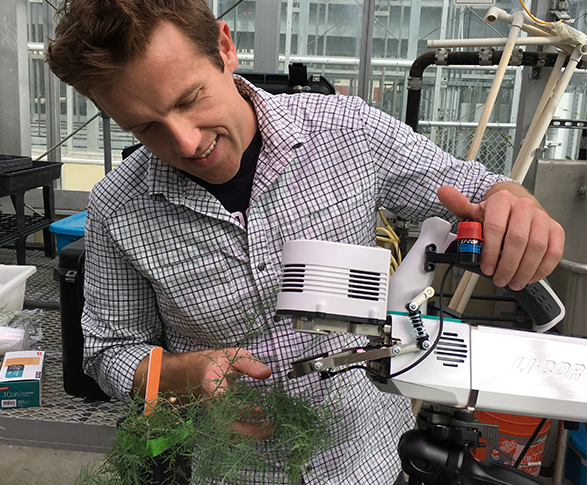 The list of publications is growing rapidly as the community adopts the innovative technology to advance their understanding of plant physiology. 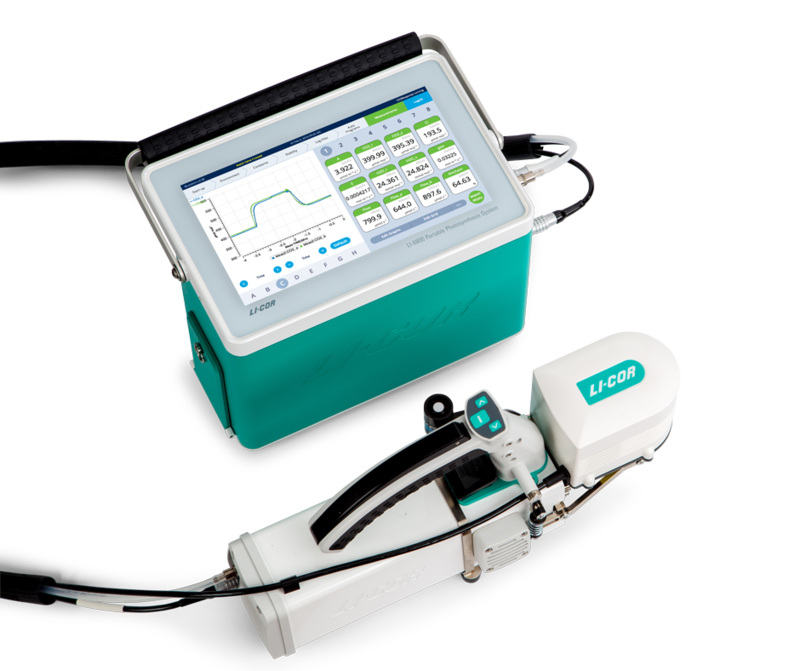 The LI-6800 includes easy-to-learn software that makes it easier to understand the complexities of photosynthesis measurements. This leads to better data that you can be confident in. Software upgrades are free – stay current for the latest innovations. The RACiR™ Method (Pat. Pend.) was recently published in Plant, Cell & Environment as a fast way to measure CO2 response. The LI-6800 can complete a survey measurement in under a minute, with batteries that last all day. A large touchscreen display shows informative, full color plots that help you track the progress of each measurement. On-screen messages alert you to issues so you can collect consistent, high quality data. The LI-6800 is fast and dependable. It is ready to collect incredible data wherever your research takes you.